Recognizing the health impact of timing and spacing of pregnancies, the Sustainable Development Goals call for increased access to family planning globally. While faith-based organizations in Africa provide a significant proportion of health services, family planning service delivery has been limited. This evaluation sought to assess the effectiveness of implementing a systems approach in strengthening the capacity of Christian Health Associations to provide family planning and increase uptake in their communities. From January 2014 to September 2015, the capacity of three Christian Health Associations in East Africa—Caritas Rwanda, Uganda Catholic Medical Bureau, and Uganda Protestant Medical Bureau—was strengthened in key components of a systems approach to family planning—training, supervision, commodity availability, family planning promotion, data collection, and creating a supportive environment—with the aim of improving access to women with unmet need and harmonizing faith-based service delivery contributions with the national family planning program. Community-based provision of family planning, including fertility awareness methods, was introduced across intervention sites for the first time. 547 facility- and community-based providers were trained in family planning, and 393,964 people were reached with family planning information. 32,176 clients took up a method, and 43% of clients received this service at the community level. According to a provider competency checklist, facility- and community-based providers were able to adequately counsel clients on new fertility awareness methods. Integration of Christian Health Associations into the national family planning strategy improved through participation in routine technical working group meetings, and the Ministries of Health in Rwanda and Uganda recognized them as credible family planning partners. 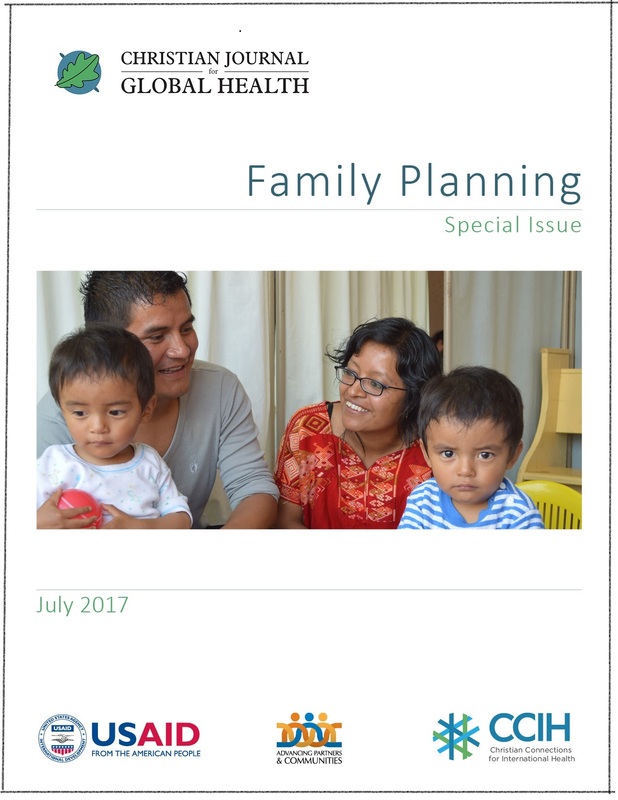 Findings suggest that by strengthening capacity using a systems approach, Christian Health Associations can meaningfully contribute to national and international family planning goals. Increased attention to mainstreaming family planning service delivery across Christian Health Associations is recommended.